“There is nothing that is eaten although I would like to entertain you. ２．Make the most of foods characteristics. ３．Foods are cooked with kindness and consideration. “miso soup”, and “mukoduke” will be carried to exquisite timing. 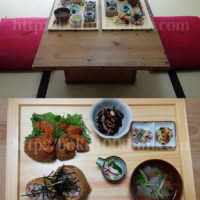 From here The meal of the style of the heart-warming traditional Japanese called “ichi-jyu-san-sai” starts. After a general meal finishes, alcohol comes out. 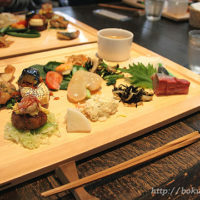 As a relish of “sake”, “all sorts of delicacies” is served and carried at a tray called “hassun”. “1th guest”, “the host” and “2nd guest”, and “the host” … They pour each other’s “sake” one by one. And mutual encounter is appreciated deeply. 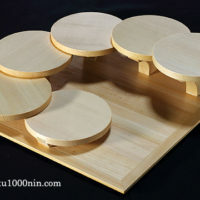 Original “hassun” is plain wood of the Japan cedar of a 25-cm square. To “ＷＡＢＯＮ 和盆八寸”, it is sanitary and is asking for ease of use. “wabon hassun” is manufactured like “kaisekiryori”. １．The hinoki of the area in “Kiso” and “Ura Kiso” is used. ２．It is plain wood structure of “straight-grained”. ３．I build carefully for users. 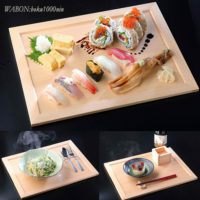 I am fortunate if “WABON 和盆八寸” is loved by you as wooden goods which tell “wooden warmth and the spirit of hospitality”. 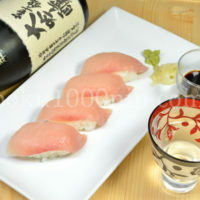 “mukoduke”:向付け　＝ dish placed on the far side of the serving table (kaiseki cuisine) ･･･It is usually sliced raw fish. “ichi-jyu-san-sai”:一汁三菜 ＝ A basic arrangement of a Japanese meal, consisting of one kind of soup and three side dishes.The composition of ‘ichiju-sansai’ that has three dishes (one main dish + two side dishes) is also well known. “sakazuki”:盃 ＝ The vessel for pouring out alcohol. 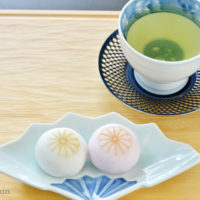 “Live every day as though it were last.” ：一期一会 ＝ The proverb of the tea ceremony.